Hey mfaraj57, Google finally restored the search filters yesterday, and it seems there were no api changes involved, so YouTube in TSmedia is fully back up and running as well. Still, vevo videos don't seem to be working now. I don't know if this is new or has been going on for a while though. Hey mfaraj57, any chance you could look into porting this tiny WNBC Kodi plugin I've attached here to run in TSmedia? Granted, most shows in there are geo-restricted and require a VPN to be played if you're not in the US. Still, if you think this is feasible, news programs such as Nightly News and a few others are not geo-restricted, so you could test out those shows in TSmedia. Thanks in advance. 1. I've noticed that old Youtube videos that are only SD quality won't play now if a higher resolution is set in settings. This wasn't the case until a few weeks ago, as I guess TSmedia would automatically switch to the highest available resolution for a video if the HD version was not detected. 2. Music videos (Vevo) on Youtube are still not working. Is that due to some api changes or something? Are they gone forever? 3. 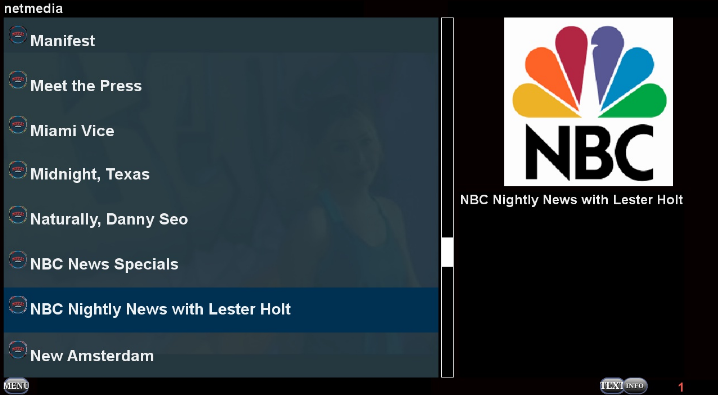 Any news about that WNBC Kodi plugin I attached a couple weeks ago? Of course, I understand if you haven't had a chance to take a look at it yet. about WNBC I will look it as soon as possible. 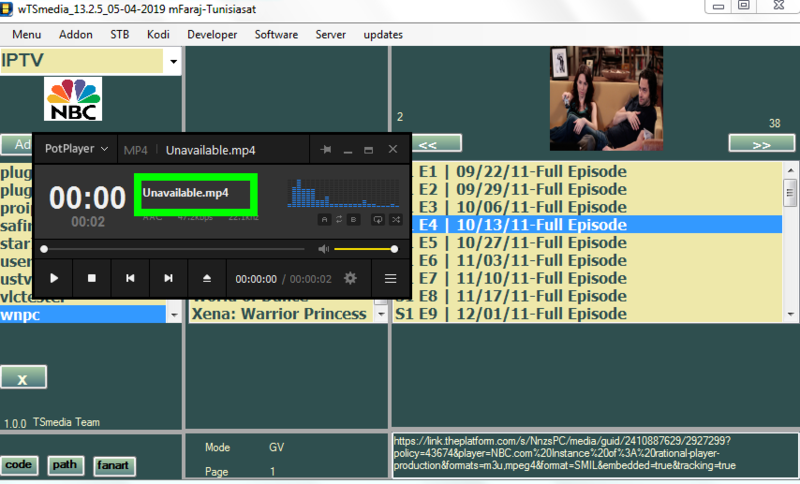 regarding plugin.video.wnbc it is not running on TSmedia but runs after converting code to TSmedia format. i can not figure the results because the videos not allowed in my country. Yeah, you're right. Vevo videos work fine, as long as 640x360 is selected in settings, which means they will only play in SD quality. So, this is kinda the same issue as the one I described the other day for videos that have no HD version, as they won't play if 1280x720 or higher resolution is set. I'm positive that both these issues/bugs have popped up over the past few weeks, as Vevo videos used to play fine in HD until at least last month, and the same goes for non-HD videos that would stream okay regardless of the set resolution. As for wnbc, thanks for giving that a try Like I said a couple of weeks ago, only a bunch of shows are not geo-restricted, so that's par for the course. Still, I was not able to find the draft version of the addon on the server and I don't see it attached here. So, how do I go about testing it? Doesn't even start (No data found). The log says "No module named iTools." yes i started new format for writing addons and this format depend on file called iTools. updates usually applied automatically but sometime needs to restart enigma to take effect. Edited by mfaraj57, 15 April 2019 - 17:28. Yeah, I forced the latest update and the addon starts fine now. Still, even shows that are not geo-restricted, such as NBC Nightly News or Meet the Press, won't play. All I get is "No items found" when selecting any episode from those shows and the log says: AttributeError: 'movs4u' object has no attribute 'defaultHeaders'. Like I said, both those shows, and a few others as well, are not geo-restricted at all and stream ok outside the US, even without a vpn in kodi. Edited by mfaraj57, 15 April 2019 - 21:29. Yeah, just tested it, and it is a step in the right direction as TSmedia is now able to pull out the link but, like you said, it won't play in enigma, whereas the very same links play just fine in kodi. Any idea why that is? I'll have a look around myself to see if there's a workaround or something to somehow tinker with the link so that it can be handled by enigma. As for Youtube, is it true what I described yesterday (vevo videos only playing in SD quality now) or is that just me? Yeah, I know, that's exactly the type of links that kodi and vlc play no problem instead. But enigma no likey! Anyway, thanks for giving it a try. If I manage to find some workaround for it, I'll let you know. Keep us posted if you happen to find a fix for those youtube issues and push an update for it over the coming weeks.